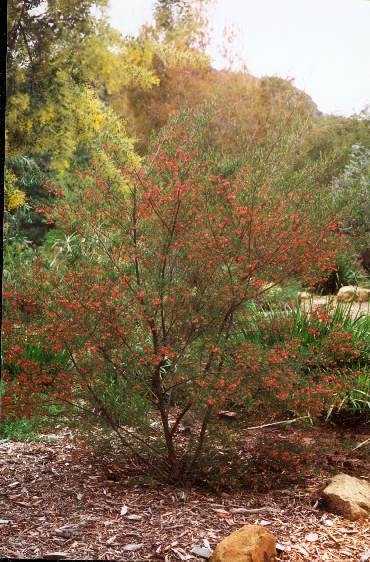 Ornamental shrub with dark reddish foliage, woody trunk, insignificant flowers BUT brilliant wine-red seed pods. Can be trained as a small tree 6-8'. Flowers best in full sun but will grow in partial shade. Fast growing and makes a good cut flower and specimen shrub.